Greenpeace initiated a study analyzing the content of Indian tea brands and found the tea laced with high doses of pesticides. 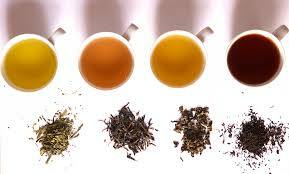 India is the world’s second largest producer of tea. Tea samples were purchased randomly from stores in Delhi, Mumbai, Kolkata and Bangalore between July 2013 and May 2014 and a European laboratory screened the samples for 350 pesticides. Sixty percent of teas analyzed contained at least one pesticide above the accepted standards defined by the European Union. In 18 samples the pesticide level was 50% more than permissible level. Forty six tea brands contained at least one of the 34 pesticides, as many as 29 samples contained a mixture of 10 pesticides. A large number of samples (67%) tested positive for DDT though it is no longer registered for farm use since 1989. 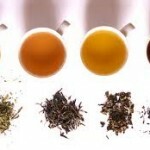 Many tea samples tested positive for monocrotophos, a highly hazardous organophospohorous pesticide. Another banned pest control agent Endosulfan was detected in four samples. The tea samples differentiated in quantity and diversity of pesticide residue. Brooke Bond Red label contained 20 pesticides, while another sample of Goodrick Chai was contaminated 19 chemical residues. The brands that were tested include Brooke Bond, Golden Tips, Goodricke, Lipton, Tata Tea, Tetley and Twinings. The manufacturers include Hindustan Unilever Limited, Tata Global Beverages Limited, Wagh Bakri Tea, Goodricke Tea, Twinings, Golden Tips, Kho-Cha and Girnar. Unilever and Tata account for almost 54 % of the produce available in the market. “The results show presence of pesticides classified as highly hazardous (Class 1b) and moderately hazardous (Class 2), as per the World Health Organisation,” said Greenpeace. ← Gut microbes manipulate human behavior and mood.